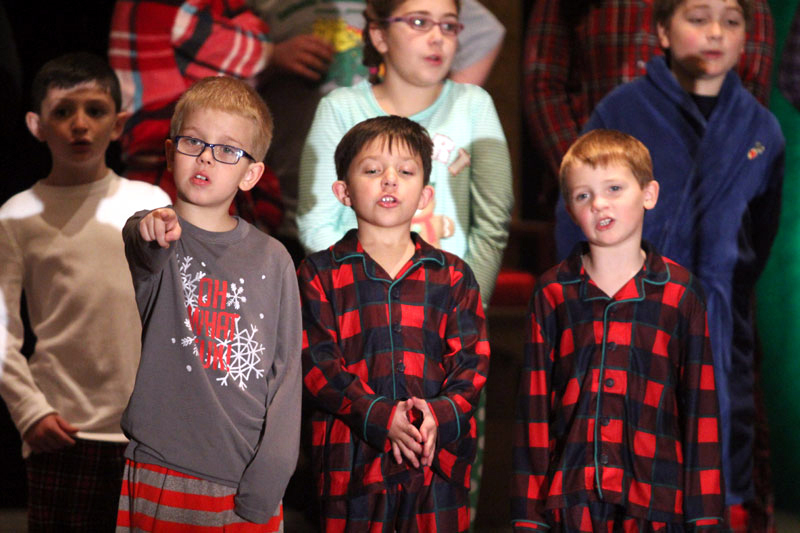 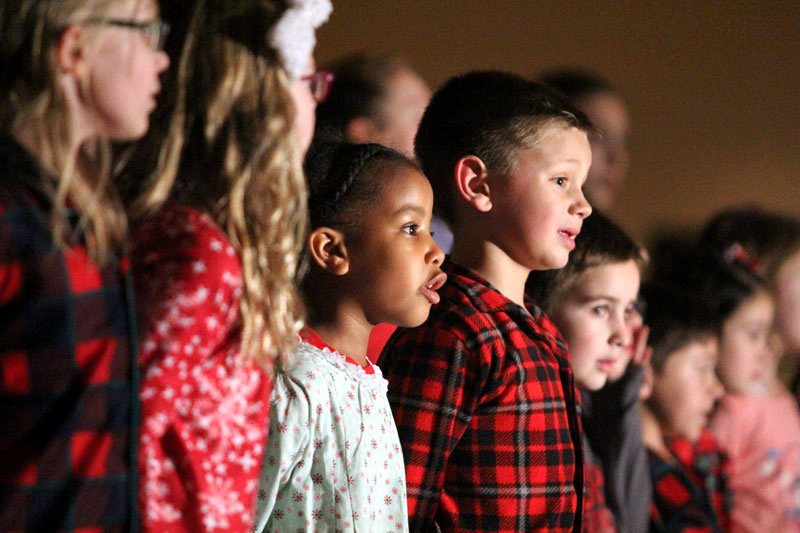 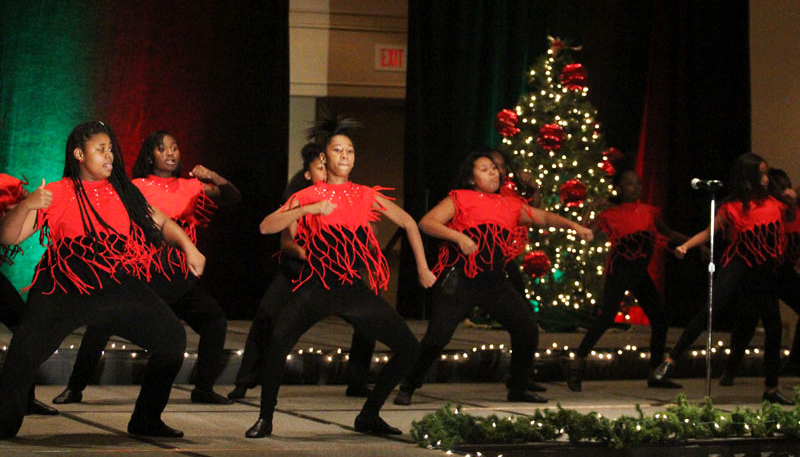 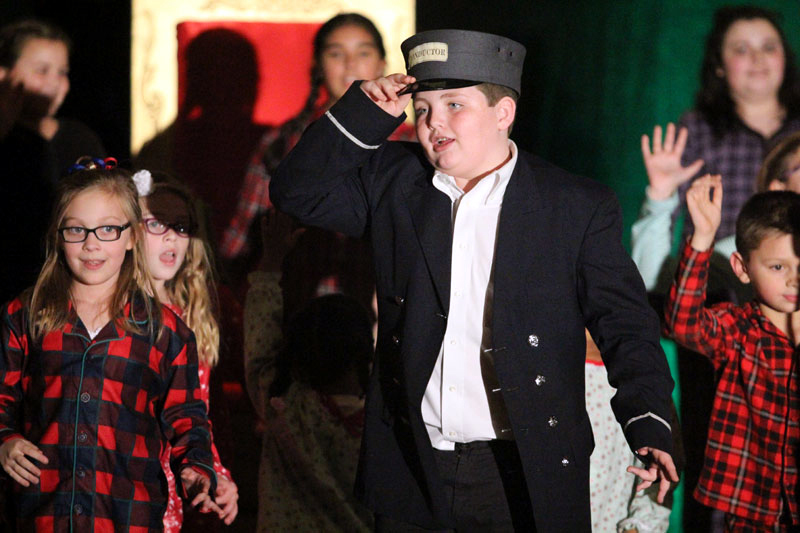 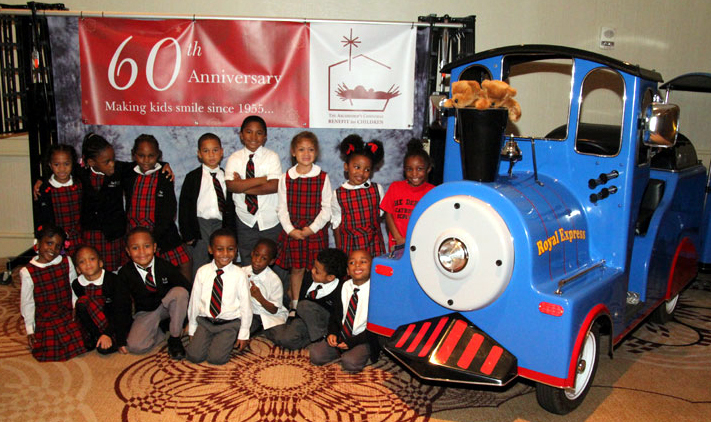 The theme for the benefit was “The Polar Express.” The Catholic Community Choir sang songs from the popular Christmas-themed movie and acted out parts of the story. 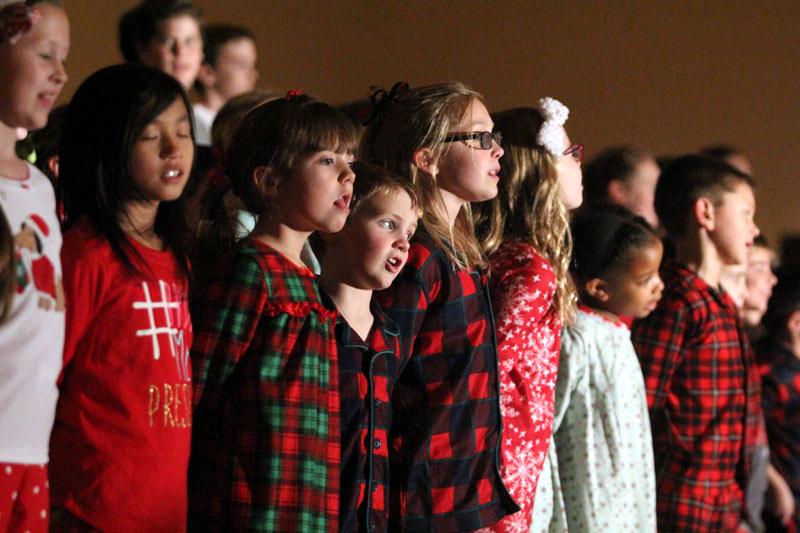 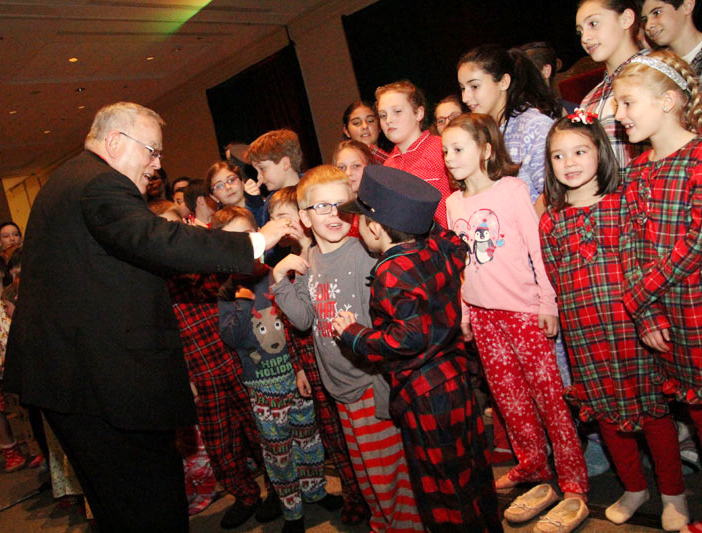 The Catholic Community Choir, dressed in pajamas in the “Polar Express” theme, sings a song. 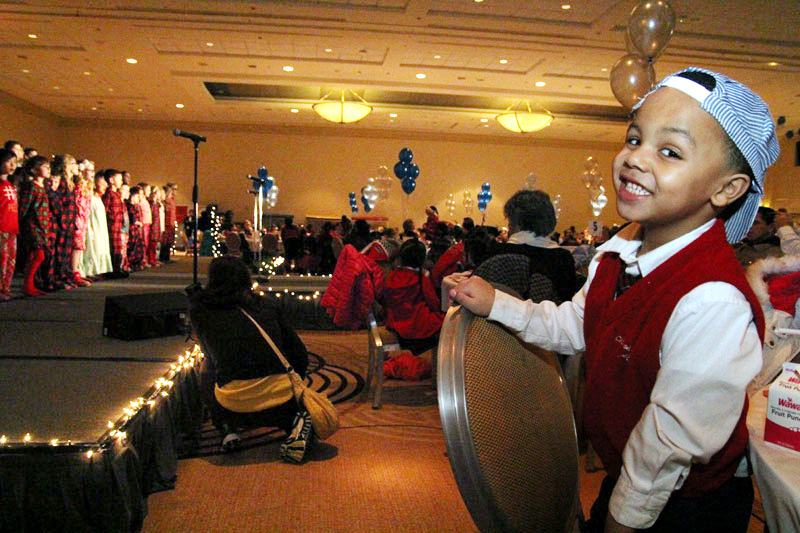 Dancers add to the party’s excitement. 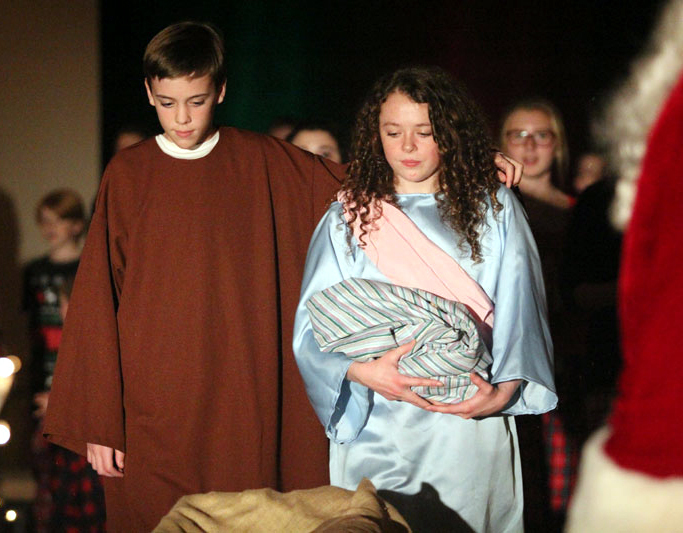 A boy and girl portray St. Joseph and the Blessed Mother during a skit at the party. 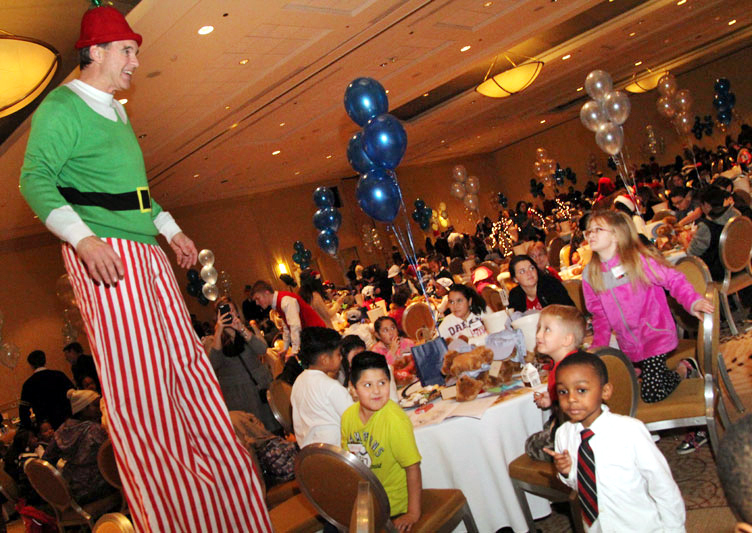 A member of the Philadelphia Eagles cheerleaders helps boys enjoy the party. 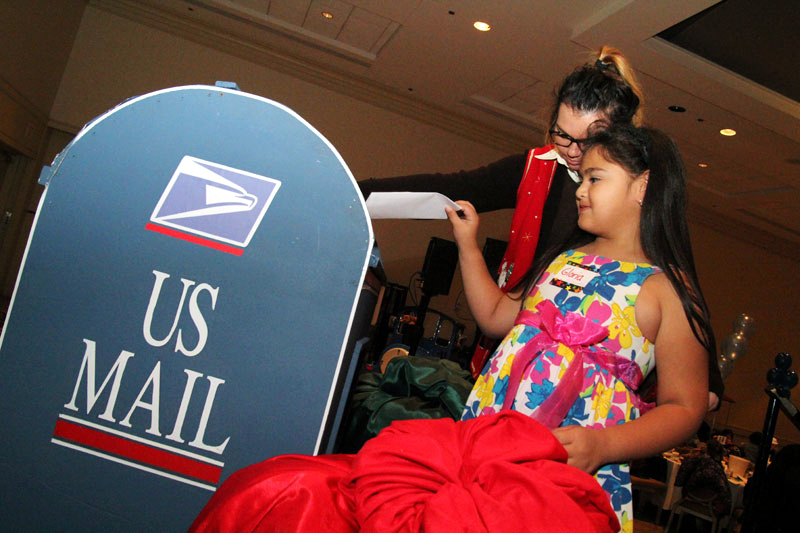 Children were able to drop the letters they wrote to Santa into an oversized mailbox. 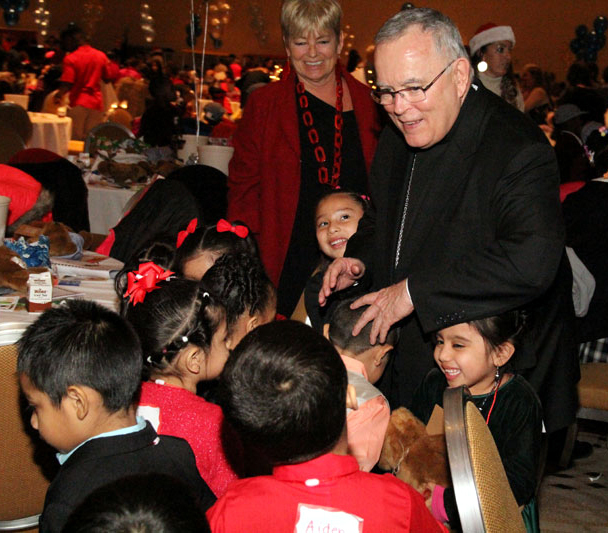 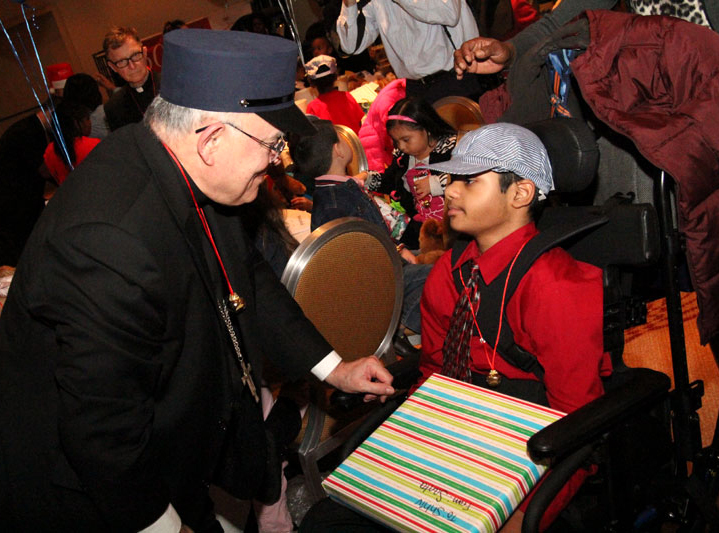 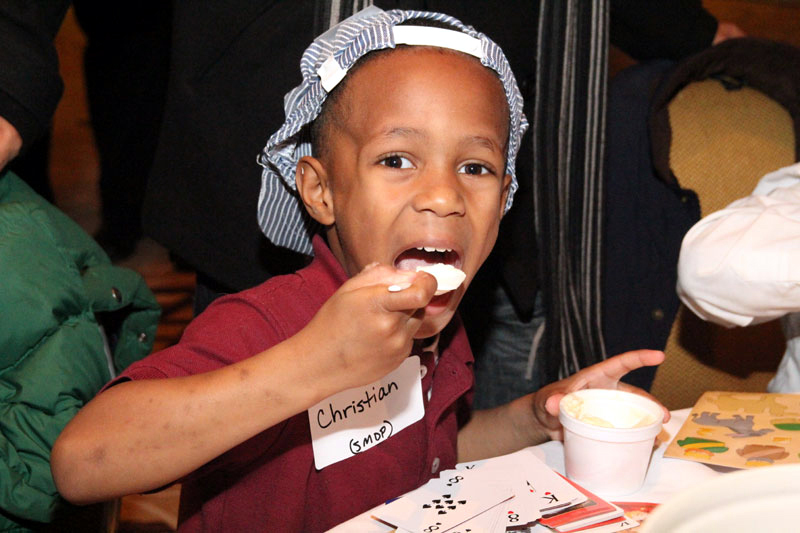 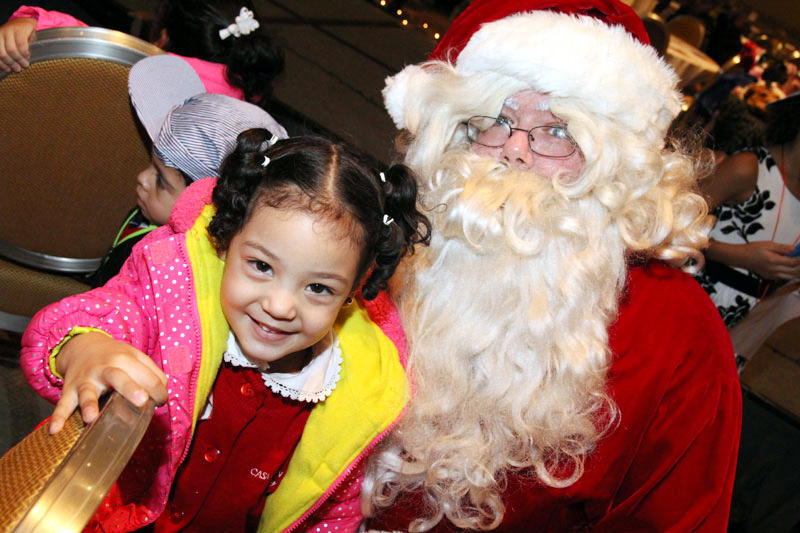 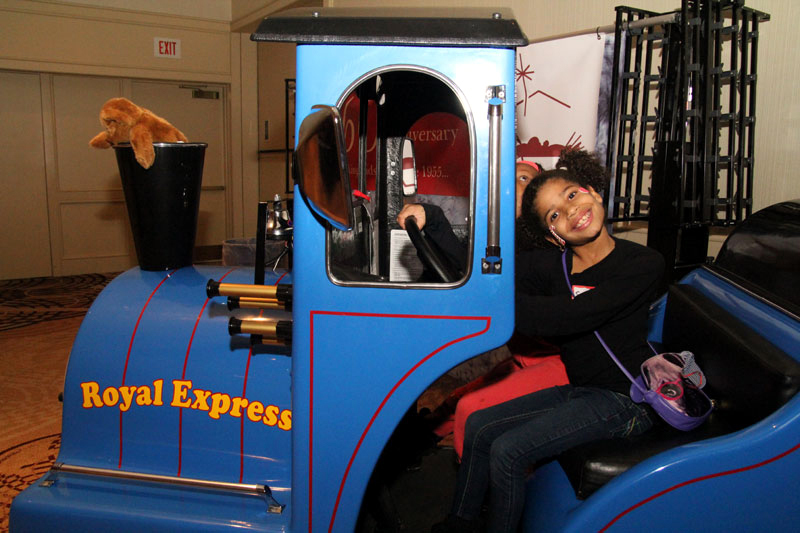 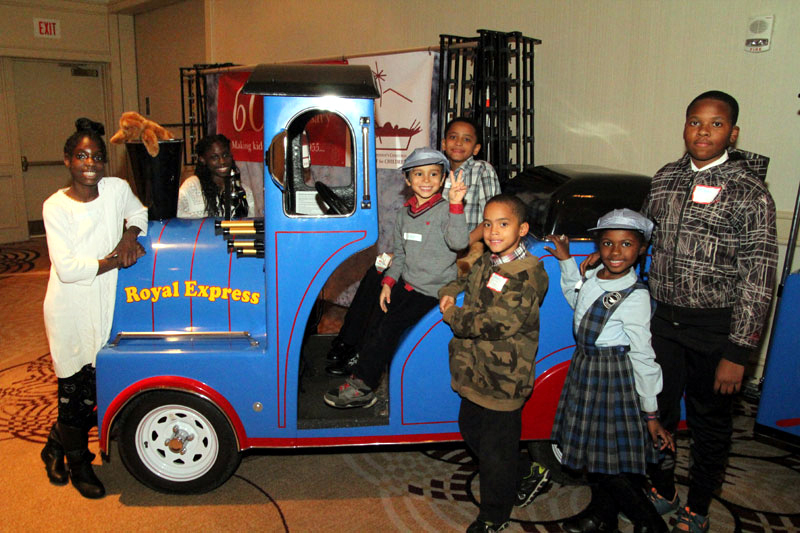 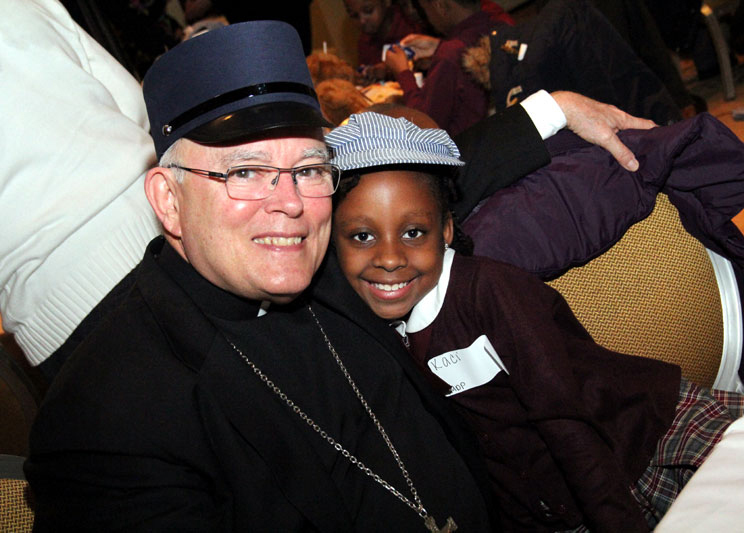 The conductor of the Polar Express, a.k.a Archbishop Charles Chaput, spends time with one of the children at the party. 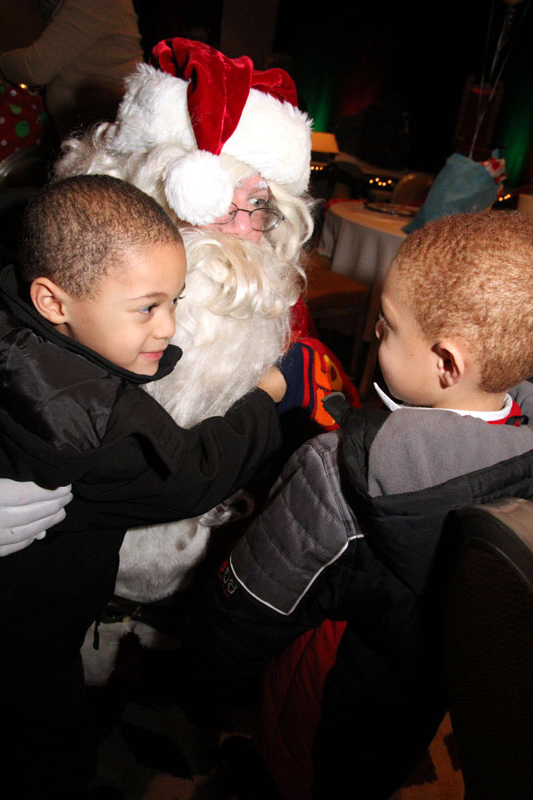 Santa Claus makes an appearance at the party, to the delight of the children. 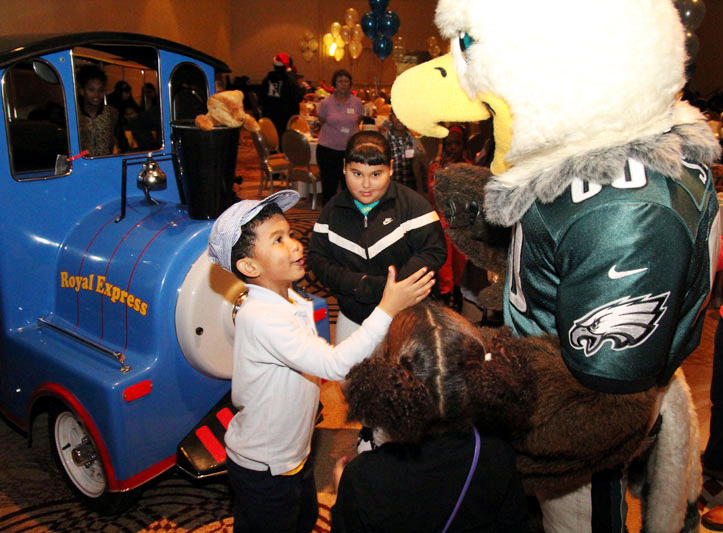 Swoop, the Philadelphia Eagles’a mascot, lands at the party. 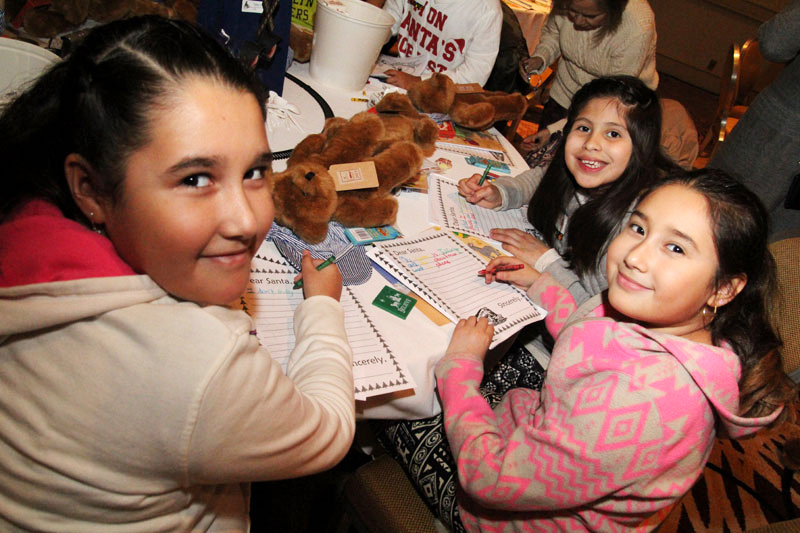 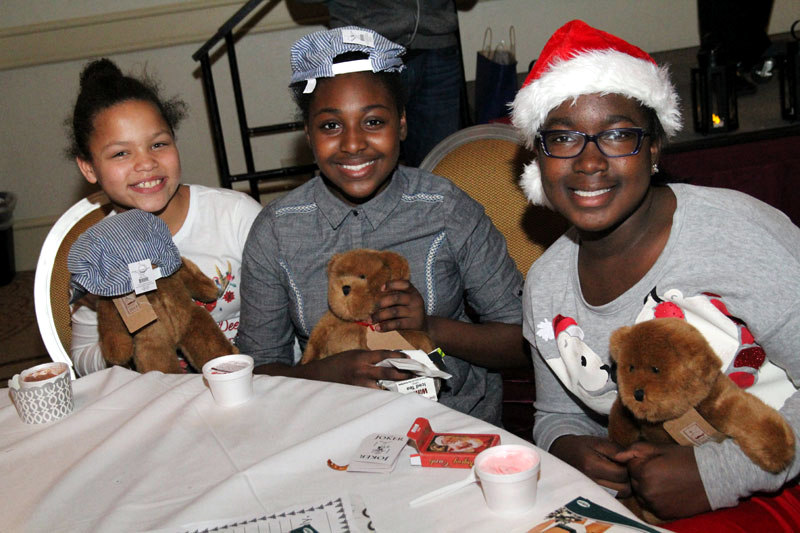 Three young ladies are excited to write their letters to Santa. 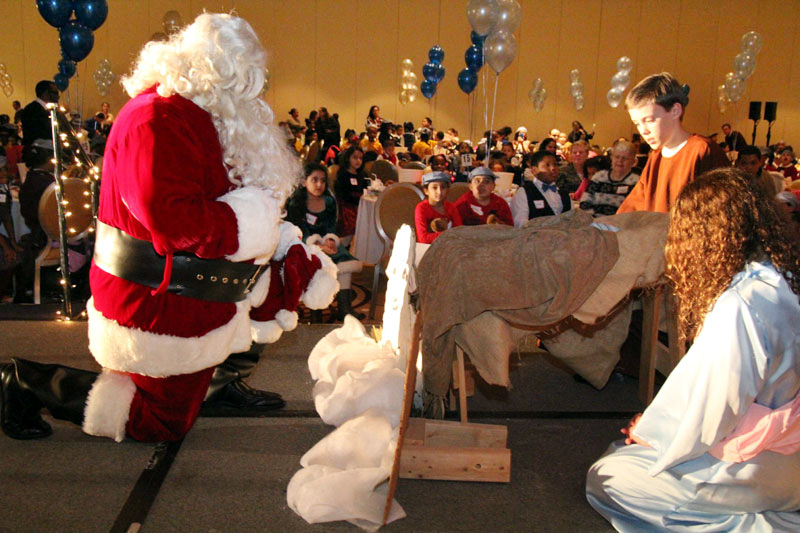 Santa shows the children how to show their love for the Baby Jesus during Christmas. 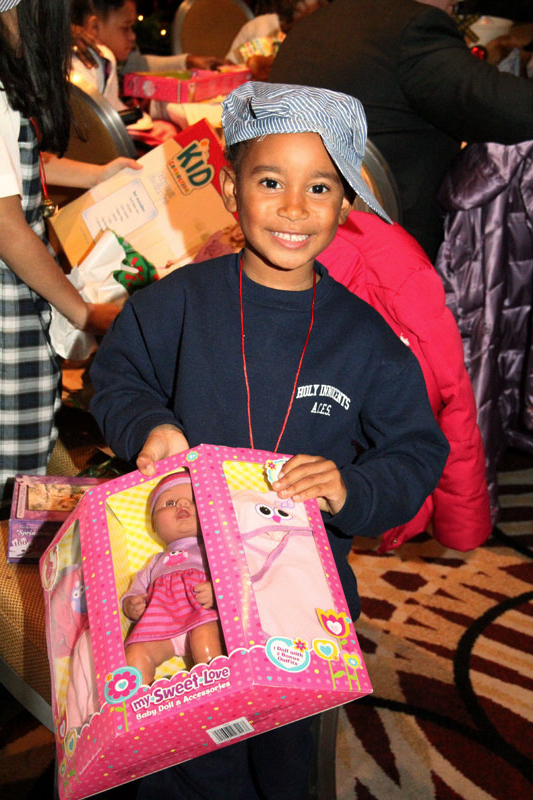 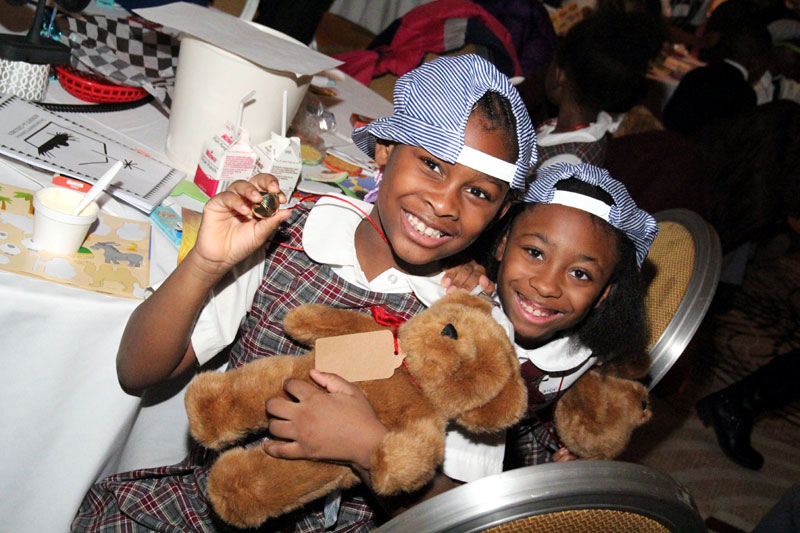 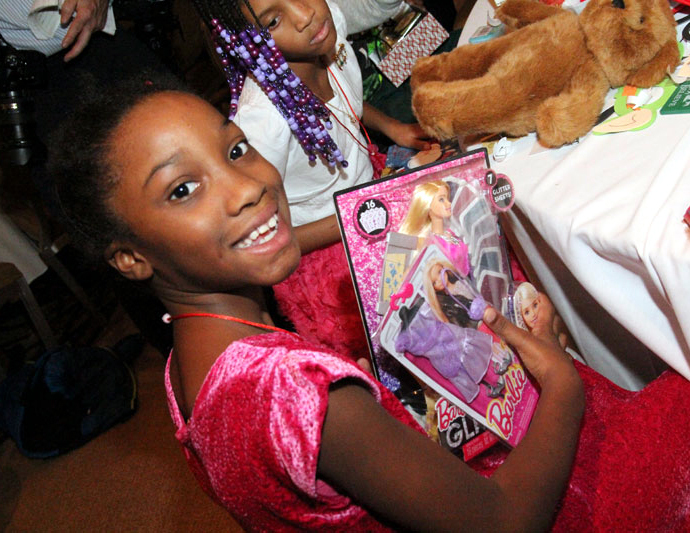 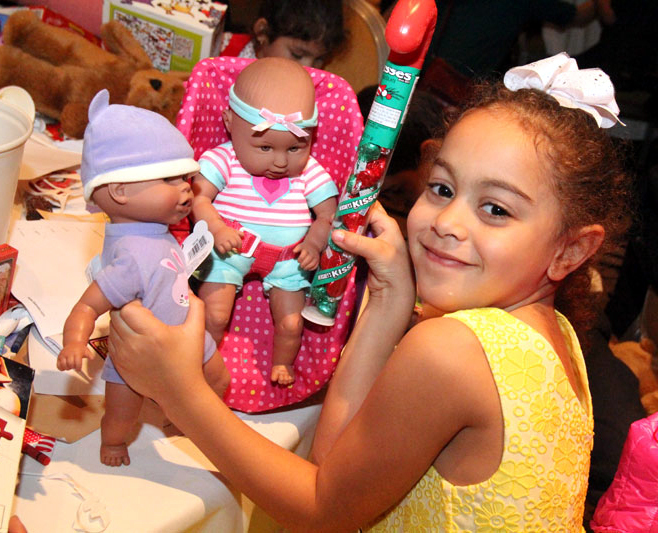 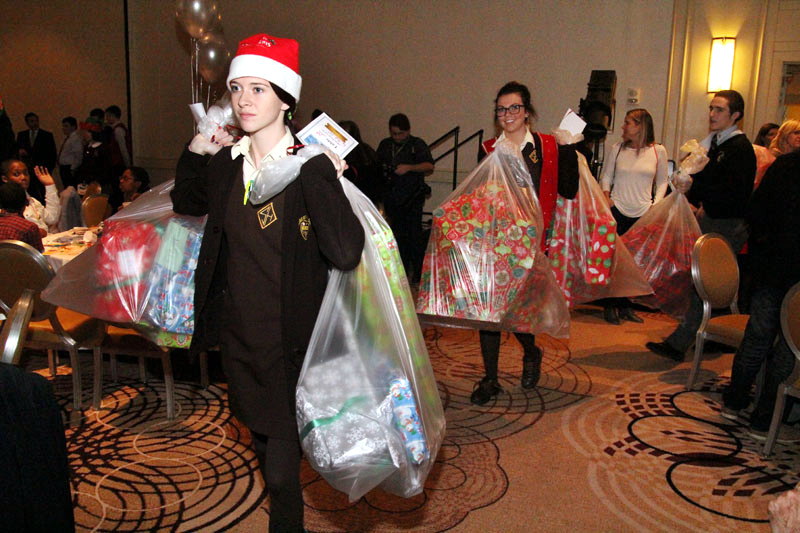 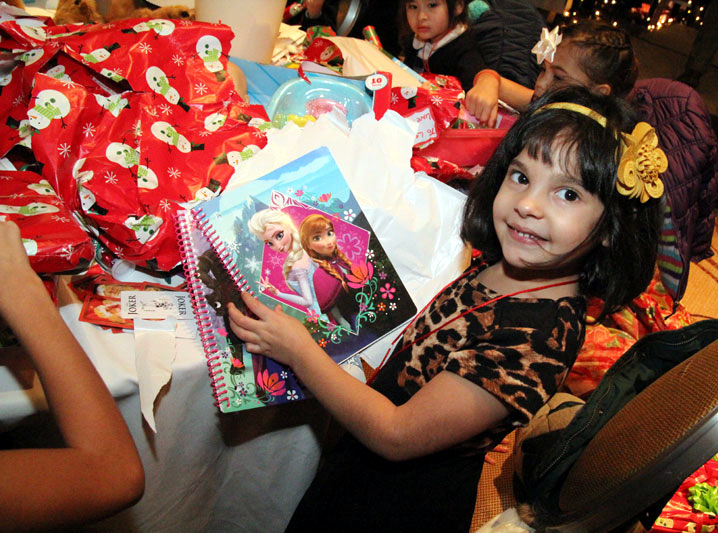 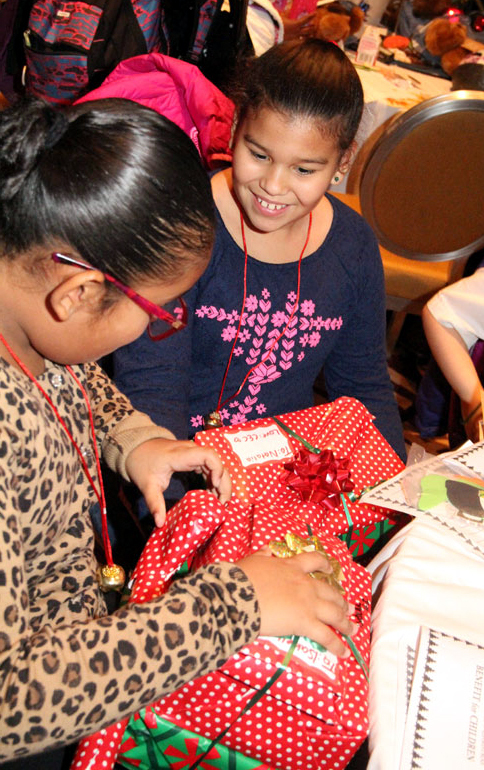 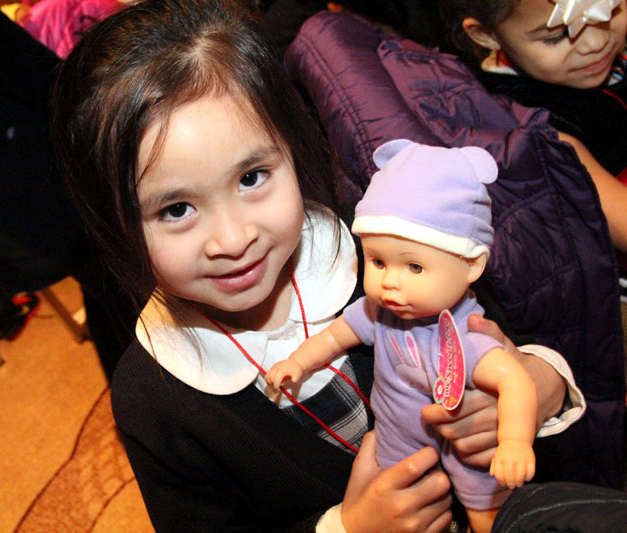 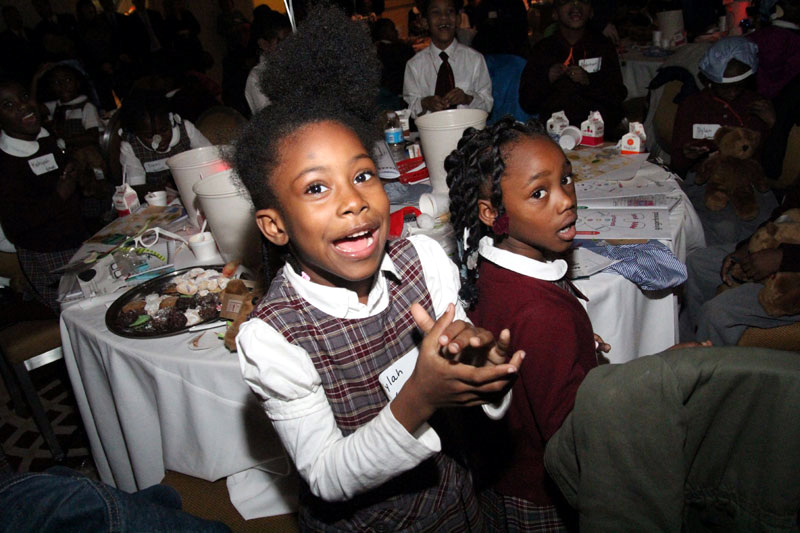 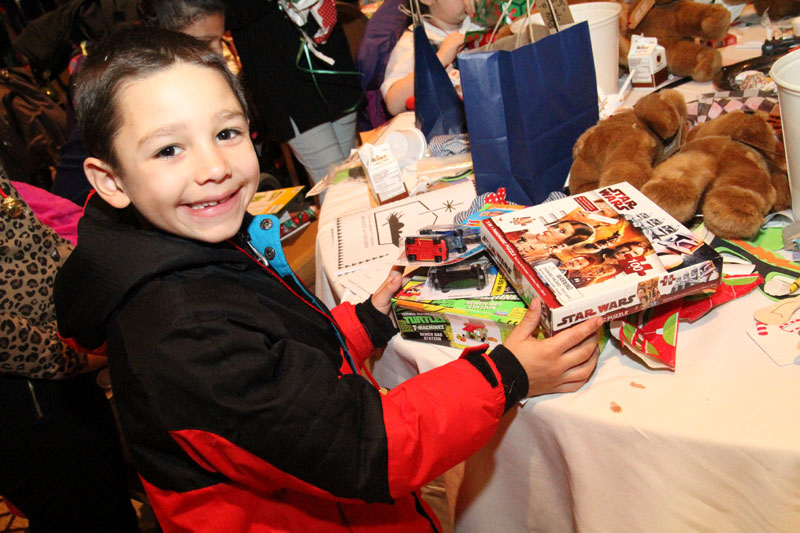 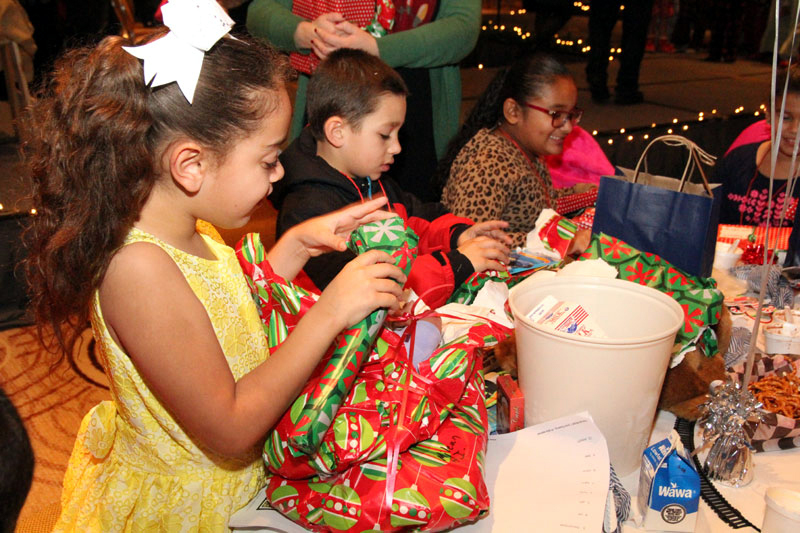 High school students from across the archdiocese served as Santa’s helpers for the day. 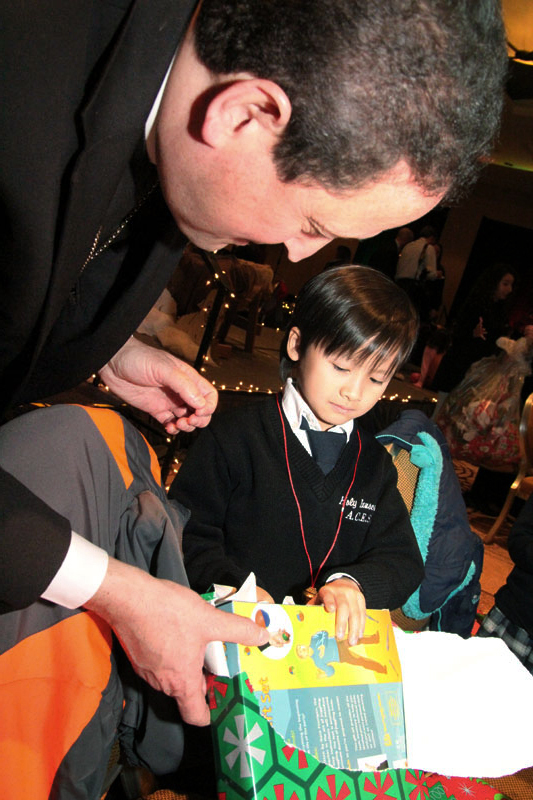 Bishop John McIntyre helps a young boy from Holy Innocents School unwrap his presents delivered by Santa’s helpers. 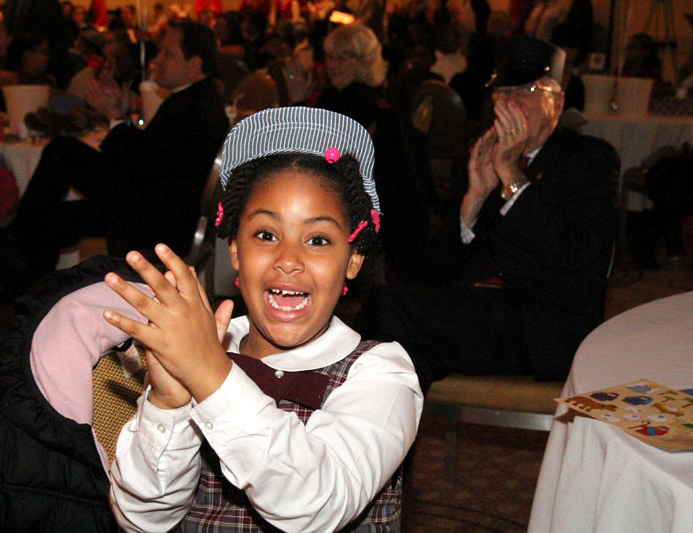 The archdiocesan All-Catholic Jazz Band performs at the party. 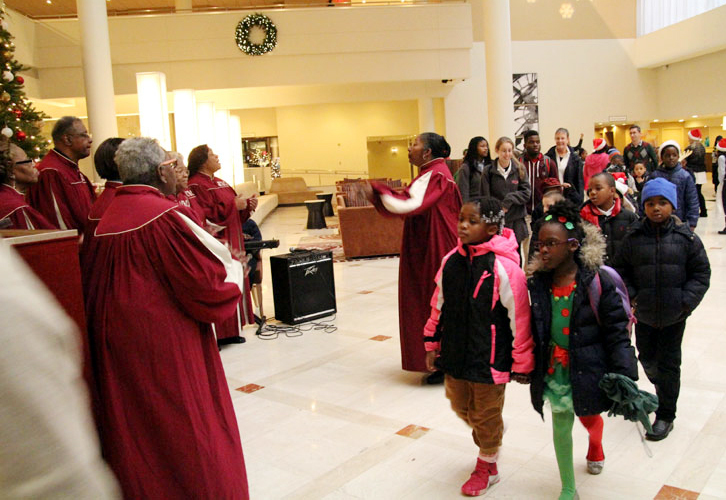 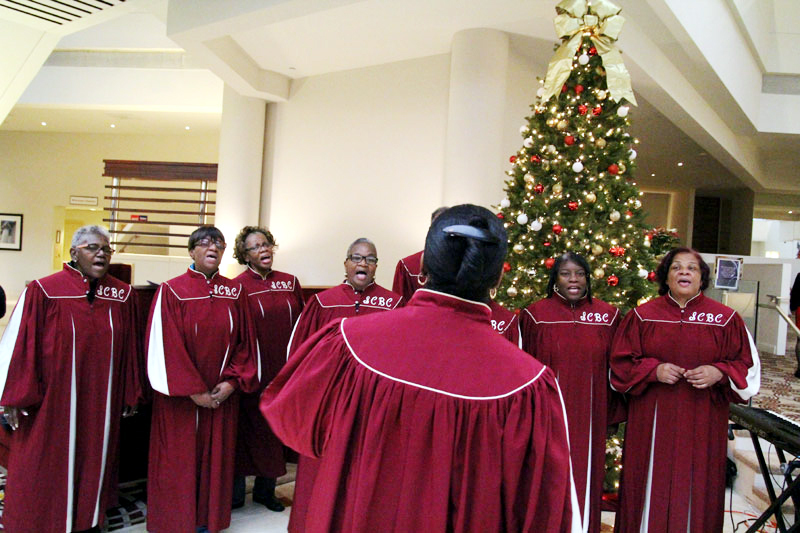 The St. Charles Borromeo Choir performs in the lobby as children arrive for the party.